When Do You Receive the Baptism of the Holy Spirit? At Repentance. We explained in the last unit that the baptism the Bible says is necessary for salvation is not water baptism. It is actually the baptism of the Holy Spirit. But that brings up a whole new list of questions. 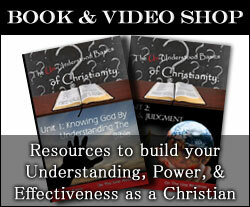 When does a Christian receive the baptism of the Holy Spirit? Is there something we need to know about how to be baptized in the Holy Ghost? How do we know if we have been? Since we have not gotten to the unit that will deal specifically with baptisms, we will hold off on answering a few of those questions until then. But there are two questions that we must go ahead and address in this unit. Because they deal directly with salvation. Throughout this course, I have insisted that confession and baptism happen at the time of repentance. We have already explained how confession is a part of repentance. We even covered water baptism. We explained that it is not water baptism, but it is the baptism of the Holy Spirit that the Bible says is a requirement for salvation. So obviously, what I have been saying all along is that the baptism with the Holy Ghost happens at repentance as well. In order to fully grasp this, you will need to understand that God the Father, God the Son, and God the Holy Spirit are not 3 different people. They are 3 different manifestations of 1 God. This is why when Jesus was asked to show His disciples the Father He said that if you have seen Jesus then you have seen the Father. 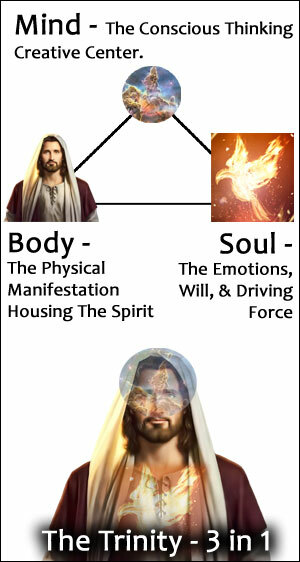 It should go without saying then that if the 3 are one then you have seen the Holy Spirit if you have seen Jesus as well. Especially since the Holy Spirit is the very spirit of Christ. The reason we need to understand that the trinity is one God is so that we can understand that if we have Jesus with us we also have the Holy Spirit and the Father. The three are not divided. You can not have one without having the others. Because they are all parts of the same God. 6 This is he that came by water and blood, even Jesus Christ; not by water only, but by water and blood. And it is the Spirit that beareth witness, because the Spirit is truth. 7 For there are three that bear record in heaven, the Father, the Word, and the Holy Ghost: and these three are one. Note that verse 6 says the words “water and blood, even Jesus Christ.” When you see the word “even” it often means whatever was said before it is summed up in what is said after it. In this case, we see that Jesus IS the water and the blood. Which we also mentioned in the last unit. Then verse 7 takes this a step further and explains that the Father, Son, and Holy Ghost are the same God. So when we accept Jesus as our Lord we have also accepted the Holy Ghost. If Jesus comes into our hearts then so has the Holy Spirit. All of this happens at the moment of repentance, as you will see. 15 If ye love me, keep my commandments. 16 And I will pray the Father, and he shall give you another Comforter, that he may abide with you for ever; 17 Even the Spirit of truth; whom the world cannot receive, because it seeth him not, neither knoweth him: but ye know him; for he dwelleth with you, and shall be in you. 18 I will not leave you comfortless: I will come to you. In verse 15 it says “keep my commandments.” This can not happen unless a person repents. They must turn from sin and towards God in order to do this. Jesus says that when you keep His commandments He will send the Comforter, the Spirit of Truth. Then He says, “I will not leave you comfortless: I will come to you.” JESUS IS THE COMFORTER. 20 At that day ye shall know that I am in my Father, and ye in me, and I in you. 21 He that hath my commandments, and keepeth them, he it is that loveth me: and he that loveth me shall be loved of my Father, and I will love him, and will manifest myself to him. 22 Judas saith unto him, not Iscariot, Lord, how is it that thou wilt manifest thyself unto us, and not unto the world? 23 Jesus answered and said unto him, If a man love me, he will keep my words: and my Father will love him, and we will come unto him, and make our abode with him. 30 The God of our fathers raised up Jesus, whom ye slew and hanged on a tree. 31 Him hath God exalted with his right hand to be a Prince and a Saviour, for to give repentance to Israel, and forgiveness of sins. 32 And we are his witnesses of these things; and so is also the Holy Ghost, whom God hath given to them that obey him. 19 As many as I love, I rebuke and chasten: be zealous therefore, and repent. 20 Behold, I stand at the door, and knock: if any man hear my voice, and open the door, I will come in to him, and will sup with him, and he with me. In each case here we see that when a person repents they receive not only Jesus but also the Holy Ghost. The commandments that we are to keep can not be kept unless we repent. But, at the moment we repent we receive the forgiveness of our sins. And, we become born again as someone who loves God and keeps His commandments. What is the first command? Love God. How do we keep this command? We repent (turn from sin and turn towards God). Then we continue walking with Him. All other commands are fulfilled in this one. We already spoke of how Christians are not “in the flesh.” So when we repent and follow Jesus it is at that moment that we have obeyed Him, and so He comes and makes His home in us. In doing so, the Holy Spirit also comes (as they are one). The Holy Spirit breathes life into us causing us to be “born again.” Without the Holy Spirit we are not born again, but with Him, we are made new. This is why the baptism of the Holy Ghost happens at the same time as repentance. The only requirement that is spoken of in the Bible to receive Him is that we believe, repent, and love God. Loving God is part of obedience, and obedience is part of repentance. As we repent Jesus and His Holy Spirit come into us and cleanse us of sins. This is the promise that was made in the verses above. Acts 2:38 does say “repent AND be baptized” and you will receive the gift of the Holy Ghost. Some would attempt to make the claim that this proves water baptism is required first. 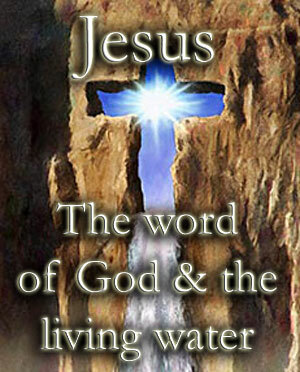 But, as we have already shown in previous units water baptism is simply a statement, … a confession of faith in Jesus. When he says “repent AND be baptized” he follows it up saying “in the name of Jesus.” So what is he saying? 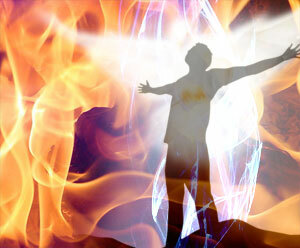 Repent and be immersed in the name of Jesus and you will ALSO receive the Holy Ghost as you are immersed in Jesus. The statement isn’t “will give,” it is “HAS given.” In other words, you have already been given the Holy Ghost the moment you begin to obey. There are many people who believe the baptism in the Holy Ghost is different than the “initial filling” of the Holy Ghost. But this is incorrect. And it came to pass, that, while Apollos was at Corinth, Paul having passed through the upper coasts came to Ephesus: and finding certain disciples, 2 He said unto them, Have ye received the Holy Ghost since ye believed? And they said unto him, We have not so much as heard whether there be any Holy Ghost. The reason some think that this shows you can be a Christian and not yet have received the Holy Ghost is because these people are “disciples” and already “believe.” But let’s put this into proper context. And it came to pass, that, while Apollos was at Corinth, Paul having passed through the upper coasts came to Ephesus: and finding certain disciples, 2 He said unto them, Have ye received the Holy Ghost since ye believed? And they said unto him, We have not so much as heard whether there be any Holy Ghost. 3 And he said unto them, Unto what then were ye baptized? And they said, Unto John’s baptism. 4 Then said Paul, John verily baptized with the baptism of repentance, saying unto the people, that they should believe on him which should come after him, that is, on Christ Jesus. 5 When they heard this, they were baptized in the name of the Lord Jesus. 6 And when Paul had laid his hands upon them, the Holy Ghost came on them; and they spake with tongues, and prophesied. So taking this verse by verse we see in verse 1 that these men were “certain” disciples. Does this mean they were disciples of Jesus? Just because the Bible says that they were disciples it does not mean they were disciples of Jesus. Acts 19:3 shows us that they were actually disciples of John the Baptist. 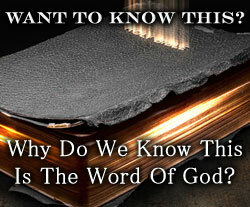 Going on to Acts 19:2 we see Paul ask if they had received the Holy Ghost since they believed. So the question is, what have they believed and why would Paul have asked this question? Paul asked this question because belief in itself is not enough (as we have been saying through this entire course). Repentance is also required. The disciples of John believed what was already taught before Jesus. They believed that a Christ was to come. They even believed in repentance. But there was something they lacked. They knew what to turn FROM, but did not know who to turn TO. This is why Paul explains to them in verse 4 that Jesus is the Christ that John preached about. It is at this moment that they not only know what to believe and what to turn from but they also know who to turn to. It is at this point that they could fully repent and turn to Jesus, whom they were just told about, and thus receive Him and the Holy Ghost. Acts 8 is similar in the story of Simon the sorcerer. He was water baptized but had not repented. This is also why we see the Holy Ghost not come upon those people, even after water baptism. It is because they had not yet fully repented and begun to follow Jesus. Of course, there are many who would criticize the thought that Phillip would have baptized people but not have known if they had truly repented. But, keep in mind that the Bible DOES say this happened in the case of Simon. So the criticism is invalid since Phillip DID INDEED do this as the scripture records in this case. So there is nothing in scripture that supports the belief that you can have Jesus first and then later be baptized in the Holy Ghost. Again, such a belief is contrary to the scriptures and is even blasphemy against the Holy Ghost (which we also talked about in another unit). Because Jesus and the Holy Ghost are NOT divided. If you get one then you get both. Let’s refresh our memory. Baptism means “to be immersed” into something. The words “in, with, by” do not carry a different meaning. To explain that let me use water baptism as an example using the word immersed in the place of baptism. You are “immersed in” water. You are “immersed with” water. You are “immersed by” water. Either way, you want to say it, the words mean the same thing. You are submerged and covered in, with, and by the water. So when we speak of being baptized “in, with, by” the Holy Ghost we are talking about being submerged and covered in, with, and by the Holy Spirit. These two verses show us that when it comes to the baptism of the Holy Ghost it is like a drink of water. 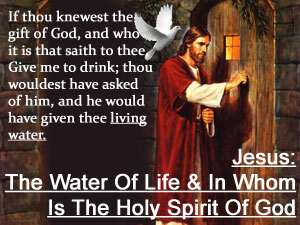 We drink in the water of the word, … that Spirit of God, … the Holy Spirit. We do this as we are baptized (covered and submerged) into the body of Christ. We are thus filled and covered in the Holy Ghost. 13 In whom ye also trusted, after that ye heard the word of truth, the gospel of your salvation: in whom also after that ye believed, ye were sealed with that holy Spirit of promise, 14 Which is the earnest of our inheritance until the redemption of the purchased possession, unto the praise of his glory. What happens when you are submerged and covered in something? You are “sealed with it.” The Holy Ghost seals us. It keeps us clean and free in Christ. It gives us the power to overcome the world. 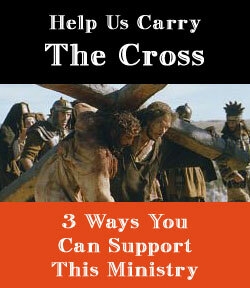 It gives us the power to be witnesses to the world as they see Jesus in and on us. 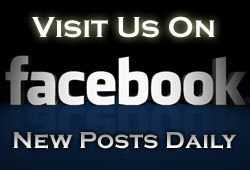 This all happens at the moment that we repent and begin to follow Jesus. There is much left to be said about the Holy Ghost. There is the subject of the gifts of the Holy Ghost and so on. But one last thing I want to mention (since we will speak of those things later) is that the evidence that you have received the Holy Ghost is not the “gifts” such as speaking in other languages and so on. The evidence is being a witness (Acts 1:8), love (Romans 5:5), righteousness, peace, and joy (Romans 14:17) among other fruits of the Spirit.